Wiseman London produce a range of high quality, hand crafted, musical instrument cases. Wiseman cases are designed to provide professional quality instruments with maximum protection, whilst offering the highest degree of space efficiency, comfort and versatility for the modern musician. All of our cases feature a unique, registered, tubular design and are hand-made in England, from the finest quality materials. Wiseman cases are different to ordinary cases in that, instead of the case holding the instrument in cradles, the instrument is instead suspended by mini shock absorbers inside the case. This means your pride and joy does not rattle around, and any knocks and shocks the case receives in your day to day life are not passed on to your flute. The materials used to make these cases are far stronger and offer greater protection than ordinary flute cases. 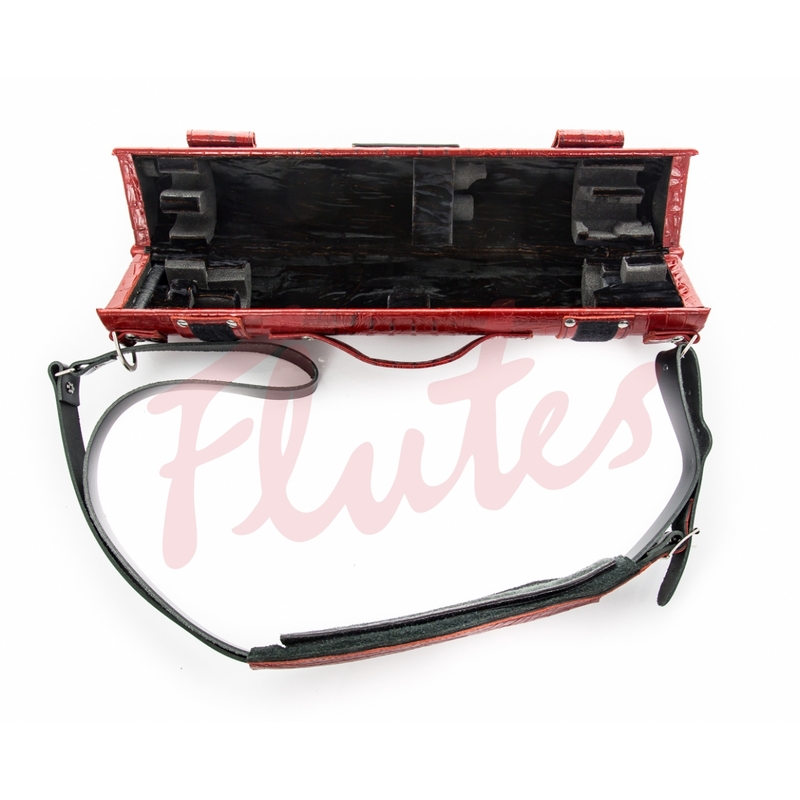 Inside the case, your flute and piccolo are held safely and securely in a space-efficient design. On your shoulder, the case hangs vertically and is balanced to feel both light and comfortable. A perfect case for your instrument.